Feeling too hot to eat today? 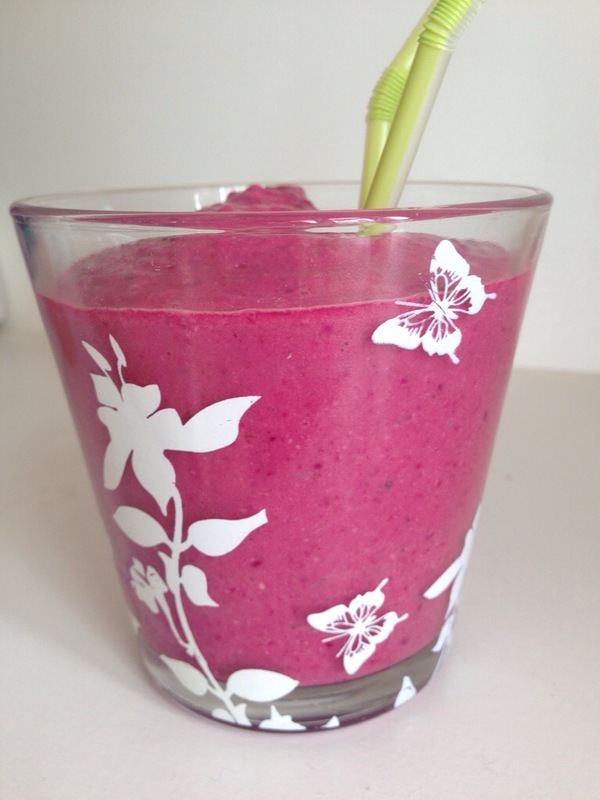 I did – yet a lunch time smoothie is a perfect compromise of drink and solids. I made this one with less liquids than usual but added ice cubes, creating a consistency reminiscent of the frozen yoghurt I used to have in the States many years ago. I ate it with a spoon, which fooled me into thinking it was pudding, yet it was jam-packed with green goodness and ONE beetroot to make it this perfectly pink! Handful of cashews, not roasted!